Brief Overview: Fun size SW Southern Hemi swell continues going into the weekend, along with a little southerly windswell. Fresh SW/SSW Southern Hemi joins in by the end of the weekend, showing strongest during the second half of the day. Conditions are cleanest in the early mornings with light offshores, before a S/SSW sea-breeze develops for the afternoons. Winds look to ease in the evenings. SATURDAY 13th: 3-4-5’ faces from continuing SW swell. Morning wind are light. Wind/Weather: Light/variable to light offshore wind early trends onshore through the morning. Light+ to moderate onshore sea-breeze in the afternoon. SUNDAY 14th: 3-5’ faces from rising new SW/SSW swell mix, showing strongest in the afternoon with better sets, largest late. Morning wind are light. Swell/Surf: SW/SSW swell combo fills in, showing most size in the afternoon. 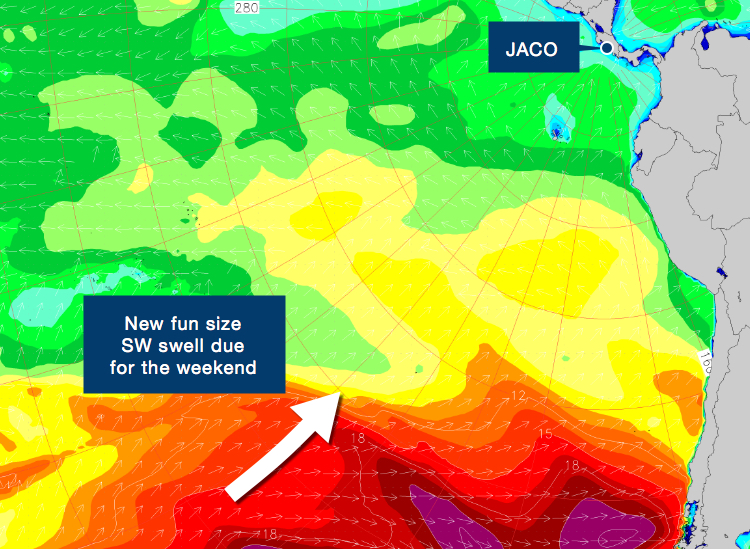 SW swell (225-205) set up by storm activity moving through the Central South Pacific last week continues to roll in on Saturday with fun-zone surf getting into Jaco. Size will be in the waist-shoulder high+ range during the best stages of the tide, with occasional better sets showing. Fresh round of SW/SSW swell picking up by the end of the weekend, again thanks to a storm which recently moved through the Central South Pacific. The new Southern Hemi shows strongest during the afternoon, for more waist-head high surf. This forecast is provided as part of an event consulting agreement recognizing Surfline as the official forecaster for the 2016 INS ISA World Surfing Games. Your organization is free to publish this forecast information and release it to the press under the condition that Surfline is credited as the source of the forecast information. To learn more about Surfline’s Surf Consulting services click here. 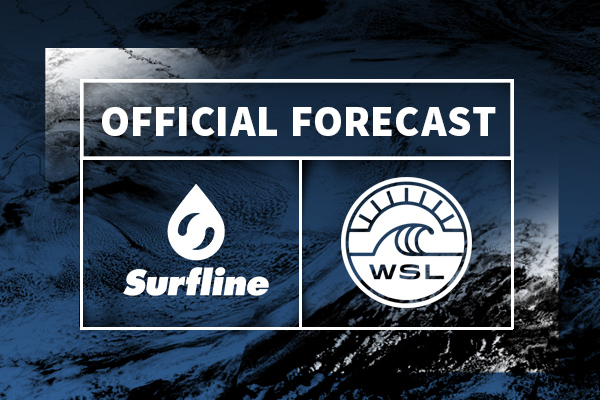 To learn more about Surfline’s Forecast and Science Team click here.